This work presents parallel histories of the development of two modern theories of condensed matter: the theory of electron structure in quantum mechanics, and the theory of liquid structure in statistical mechanics. Comparison shows that key revelations in both are not only remarkably similar, but even follow along a common thread of controversy that marks progress from antiquity through to the present. This theme appears as a creative tension between two competing philosophies, that of short range structure (atomistic models) on the one hand, and long range structure (continuum or density functional models) on the other. The timeline and technical content are designed to build up a set of key relations as guideposts for using density functional theories together with atomistic simulation. David M. Rogers received a B.S. in Chemistry with BiochemistryConcentration and Math Minor from the University of Cincinnati in 2004 and his Ph.D. in Physical Chemistry from University of Cincinnati in 2009 with Prof. Thomas Beck as advisor. After a Post-doctoral fellowship at Sandia National Labs with Dr. Susan Rempe, he joined the USF Department of Chemistry as an Assistant Professor in 2013. Since then, he has worked on theory and application of statistical mechanical methods in liquids, biomolecules, and quantum models. His reserch interests include mathematical and computational theory for multiscale modeling. 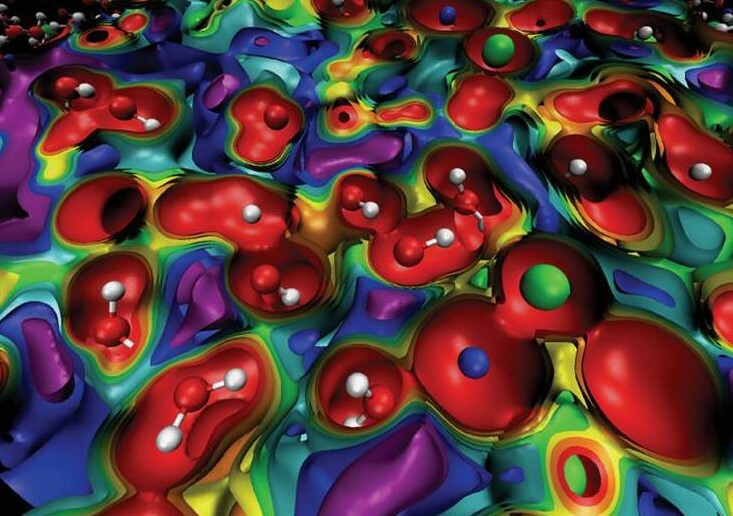 Current project topics include applications to small nonequilibrium systems, dielectric friction, dispersion, hydration, and its role in nanoscale devices polymer phase structure.